You have been hearing the track lately and if you are anything like me, then this is definitely a track you have been feeling. Now call me delayed or whatever, however, I honestly didn't know who song this song up until now. Well hey MadeinTYO, thanks for dropping this hot track.... and video for "Uber Everywhere". This is the video for the remix so of course Travis Scott makes his cameo toward the end of the video. For the video, it wasn't too flashy or anything like you would expect a rap video to be. The duo shot this video in a desert scene with some eye candy sprinkled throughout the video, as well as big guns. MadeinTyo, which is short for Made in Tokyo, is an upcoming rapper from Atlanta that we should be on the lookout for. The rap artist is signed with G.O.O.D. Music label and he is adjusting to his new found fame, though he said that it weird having fans during an older interview with Vice. 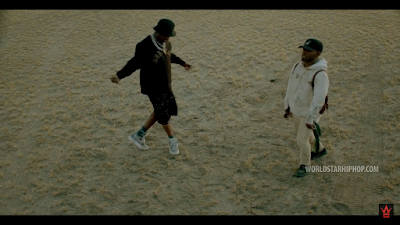 Take a look at the video below so that you can get a feel of who this MadeinTyo is!